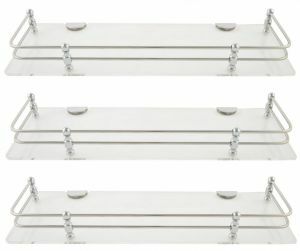 Material: Acrylic Plate, Fancy and Stylish Heavy Stainless Steel Railing, Stainless Steel Railing Supporters, Brass Brackets. Acrylic Design: Marble Design. Plate Design: Fancy Banded from sides. Size: 12x5 Inch. Acrylic Plate Size: 5mm. Color: White Marble Designed Acrylic Plate and Fancy Heavy Silver Railing. Number of Railing: 1. Number of Railing Supporters: 2. Number of Brackets: 2. 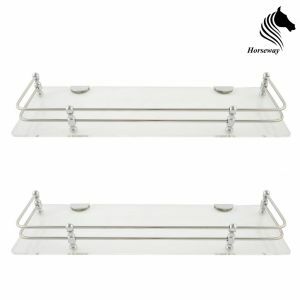 Horseway Marble Designed Acrylic Wall Shelf is the best quality product to make your place stylish and luxurious. 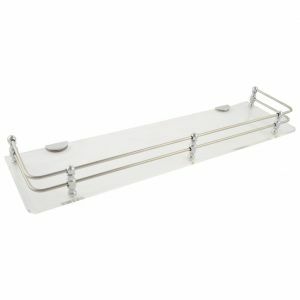 This wall shelf is made of acrylic plate and stainless steel railing. 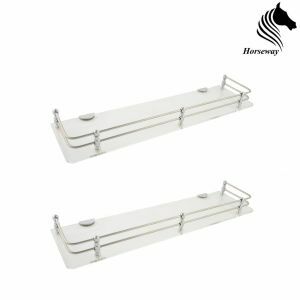 This wall shelf is having White color of marble designed acrylic plate and silver color stainless steel railing. 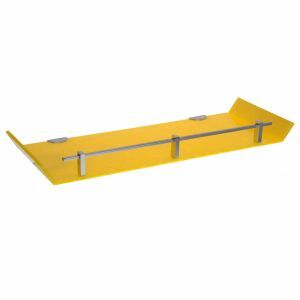 This wall shelf can be mounted on the wall by using brackets. 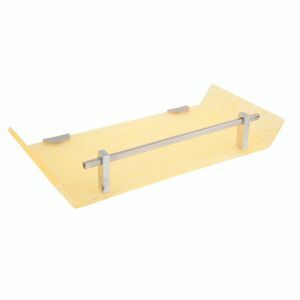 The brackets are fitted with the shelf in the package. These brackets are made of brass. 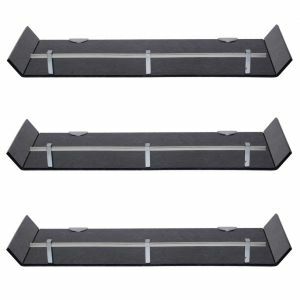 This wall shelf can be used at your homes, offices, shops and showrooms. 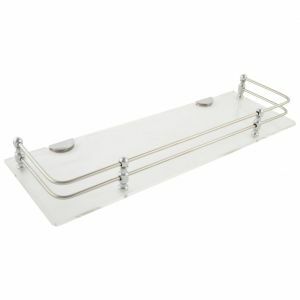 Especially for homes, this product is the best choice to use as the utility shelf. In bathrooms, you can use it to keep different cosmetic items. 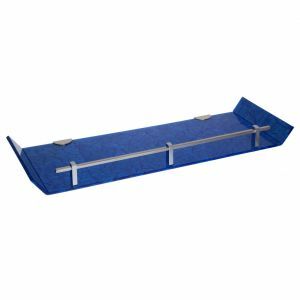 Mounting Instructions: Firstly, open the brackets given with the shelf inside the box. After that, take size of the holes according to brackets on the wall. Just make holes on the wall. After making holes on the wall, insert the grip given with the screws in the package and then fit the brackets. After fitting the brackets, just put the shelf between the brackets and fit the small screws joined with the brackets. Now, its done. Your product is now ready to use, its exactly what you have been waiting for long time. Color Distribution for bathroom use: Black, Blue and White color wall shelves are generally used for MALE Bathrooms. Pink, Ivory, Blue and White wall shelves are generally used for FEMALE Bathrooms. All the color wall shelves can be used for KIDS Bathrooms. 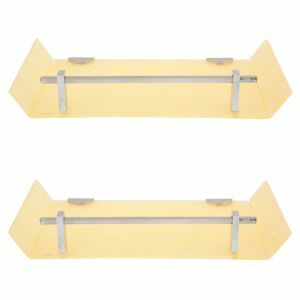 Brackets might be changed if the same shape brackets are not available.